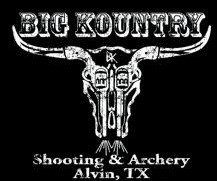 Big Kountry Indoor Shooting Range hosts multiple Texas License to Carry (LTC / CHL) classes per month at their Alvin and Richwood locations. The classroom training will cover all state required topics, Basic Firearms Safety, Safe Handling and Storage, Non-Violent Dispute Resolution, Use of Force Laws, Civil Liability (presentation by Texas Law Shield), Texas Handgun Laws, Firearm Selection, Carry Methods, College Campus Carry, and Open Carry. The range portion consists of fifty shots fired from distances of 3, 7, and 15 yards. It is preferred that students be somewhat familiar with their pistol and know how to operate it safely. Accommodations can be made for students needing additional instruction, assistance, or encouragement. Every effort will be made to provide a safe, comfortable, and enjoyable shooting experience for all. The minimum score to qualify is 175. . . the max is 250. I’ve never had a shooter fail to qualify. In fact, “inexperienced” students end up shooting some of the highest scores. Handgun: Revolver or Semi-Auto (no minimum caliber) – It no longer matters what type of handgun is used to qualify. You will be licensed to carry semi-auto or revolver. Discounts are available for military, veterans, those age 60+, first responders, school teachers, and NRA Members. $10 off New Licenses. 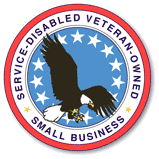 State Licensing Fee (paid to the State): $40 for most folks and $25 for military veterans. Current military (or those released from duty in the last year) are free. This fee is paid directly to the State and must be submitted within one year of completing the class. Students do not have to apply with the State prior to attending the class but they can if they so choose. Click here to apply for your License To Carry. Fingerprinting Fee (paid to finger printer): The state has contracted with IdentoGO to collect all electronic fingerprints. The cost is $10 and there are multiple locations in our area. Click here for electronic fingerprinting info.